Paul Sebastian has come to women who arent into overdramatic florientals and abundant lushness with an airy and light floral which grabs a hold of those moments when we feel at home and at ease. 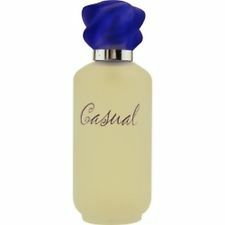 Casual, just as its name suggests, is a carefree, cozy, composition comprised of a timeless floral bouquet sweetly singing at the pitch of an alto. Long lasting and perfect for summer wear.